Marshall Law – What an amazing cosplay! 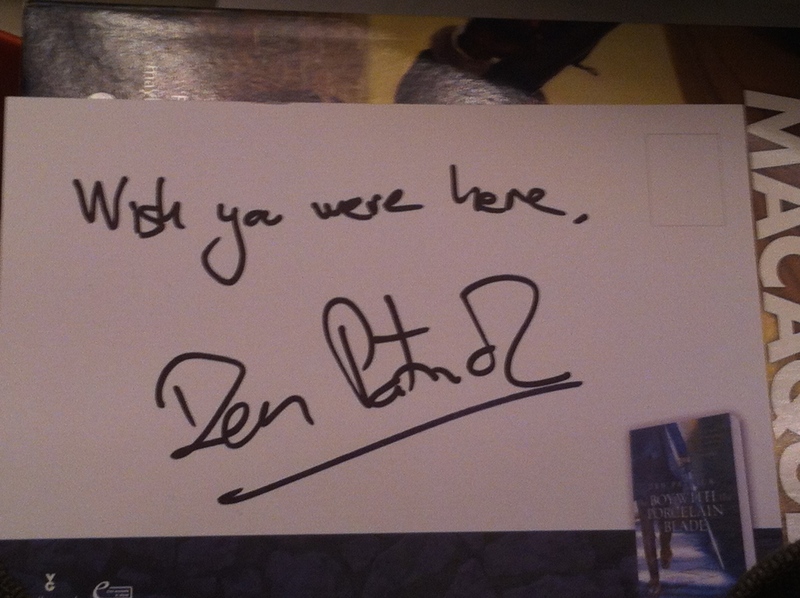 I know you do, Den, I know you do. As you might have guessed, I managed to sneak a few cons into the schedule this year. I chose to go to Nineworlds because Gav Thorpe had mentioned it and said that it was a good one to go to, and I needed to hand a copy of Raus! Untoten to one of the authors. I have to say that I think the price of £40 was a bit steep, especially combined with a small cup of coffee that cost £4.22 in the hotel, but that was the only downside. The venue was amazing, the Radisson is a steampunk/dieselpunk’s idea of heaven, easily slotting into both aesthetics and would make a great place for such a convention. It was also huge, with rooms scattered on many different levels and down some of the tightest mirrored corridors I have ever ventured into. This year was a taster for me, a way of seeing what the con was like without committing to the whole weekend and I have to say that on the whole it was great. 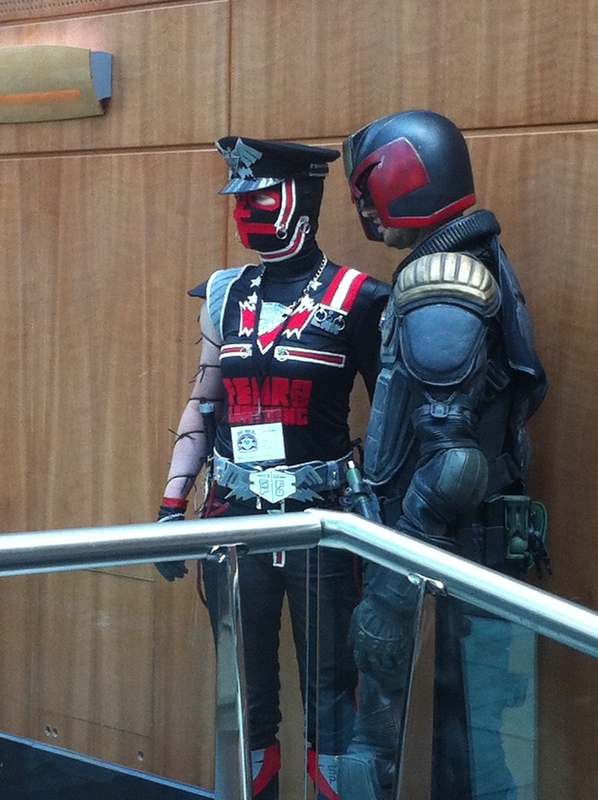 Cosplay was everywhere and – as usual – I didn’t get to work out what a lot of them were but those I did were awesome. I was unfortunately trying to catch up with a lot of people I either hadn’t seen in a while, or had never met in the flesh before so wasn’t able to take very many photos, but the Marshall Law cosplay was quite simply amazing and it was good to have a quick chat before friend-stalking her on Facebook after the event! In between speaking to Gav Thorpe and going gaga over his incredibly cute son, I finally managed to meet Den Patrick, buy his book and convince him to sign his book postcard (I think he thought I was a bit odd, but hey, he’s right), Mark C Newton whose book I also bought and got signed, Gareth Powell (ditto) and I then bumped into Ed Fortune, Jon Green and Adrian Tchaikovsky. One of the highlights of the day however, was finally getting to meet Emma Newman properly and having a natter over a rather splendid cup of tea. All in all, it was a good day, productive and I wish I had more time to get to panels and such. Who knows, maybe I’ll make it there for the entire event next year. And get some more photos.